The day before this picture was taken, I was driving by the Sawmill Creek Farm and saw a bird that seemed a little odd. I turned around to take a closer look and saw that it was not a bird I was familiar with. Conditions were not very good and I was only able to get a couple of mediocre pictures. I decided to go back and try again. Luck was with me and I immediately saw the bird in the same place as I had the day before. This time I was able to watch it feed in the grass alongside the road for some time and get this picture. 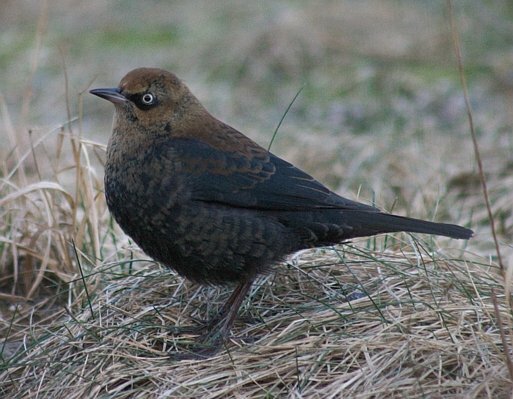 This bird is usually only seen in Sitka during migration and not commonly even then. I suspect that it may be hanging out at the farm because it seems a little late to be migrating.